There's a lot of responsibility involved with being the most powerful wizard in the world, and Magdelene wants nothing to do with any of it. Lazy, lusty, and more likely to be found lying in the sun than casting runes or sacrificing unfortunate goats, she'd really rather avoid dealing with challenges, errant apprentices, demons, dragons, death, and bureaucracy. 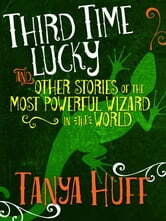 These seven stories include "Third Time Lucky", Tanya Huff's first professional sale to George Scithers at Amazing Stories. Thirty years, thirty novels, eighty-three short stories, and one television show later, this is where it all began. Stories included are The Last Lesson; Be It Ever So Humble; Mirror, Mirror, on the Lam; Third Time Lucky; And Who is Joah? ; Nothing Up Her Sleeve; and We Two May Meet. 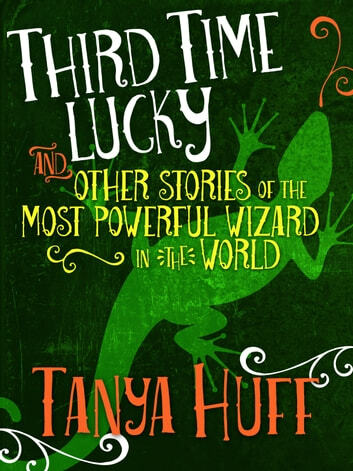 Long-time Tanya Huff fans may recognize many of these stories from the long out-of-print collection Stealing Magic. Each story here is accompanied by an author note, brand new for this release. Leuke korte verhalen, vlot geschreven. Hoop dat er een keer een volledig boek komt over Magdalene. Loved every story. I read it in chronological order and enjoyed getting to know the most powerful wizard in the world.